If you consider taking a short golf break someplace where golf is really part of the cultural and national tradition, then Ireland is the place for you. The Republic of Ireland is indeed home to two-thirds of the world’s total links courses, and that’s a serious number. The atmosphere in the country, including the overall greenery and the cool air and checkered motifs of the clothing of people are simply synonymous to the game. So, by exploring golf in Ireland you could definitely experience a dream golf-holiday. Along with golf, the country offers a variety of sophisticated sports such as horse-back riding, sailing, and fishing. And last but not least, Ireland is enchanting with it history that is visible in the great number of castles and medieval ruins that are definitely worth the visit. Not to mention the outstanding tradition in malts whiskey and scotch that are highly appreciated by connoisseurs. 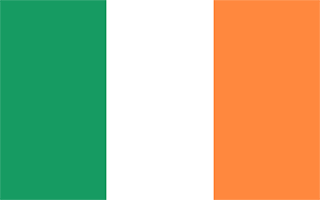 The Republic of Ireland spreads over a small island in the Atlantic Ocean and the North Channel and shares the territory with Northern Ireland which is part of the United Kingdom. Rugged cliffs, hills and mountains – that is what characterizes the western parts of Ireland. In the central parts of the country there are the so called lowlands covered mainly with clay and sand. In the southwest parts there is the Macgillycuddy's Reeks mountain range and naturally the highest parts of the country. The west coast offers plenty of islands, peninsulas, headlands and bays. The climate in Ireland is influenced by both the Atlantic and the Gulf Stream. The temperatures vary depending on the region and the central and eastern areas are characterized by harsher weather. Irish winters are rather mild with temperatures seldom falling under -5°C. In the summer the day can be up to 18 hours long, while in winter it could contract to 7 hours. The weather is often unpredictable. Wind is generally a common thing in Ireland, with its north and west regions the windiest in Europe. There is plenty of rainfall too, but this shouldn’t stop you from visiting the country. After all the Irish have been avidly playing golf in spite of the weather for centuries. There are over 400 golf courses in Ireland. The northern part which includes the counties Antrim, Donegal and Down offers the reputable Ballyliffin and Donegal Golf Club golf courses. The territory is within driving distance to some of UK’s Northern Ireland’s best golf-courses too. In the southern region that encompasses the counties of Kerry, Cork, Limerick and Clare there are many courses that are definitely worth a round or two. Among them are Old Head of Kinsale Links, and Fota Island in the cliffy coastal areas of county Cork, Adare Golf Club in Limerick county, Lahinch and Doonbeg Championship Courses in county Clare and Ballybunion Old and Cashen courses, Trallee, Waterville Golf Links, Dooks, Ceann Sibeal, and Killarney Golf & Fishing Club in county Kerry. The eastern part of Ireland has its outstanding courts too. The region that includes the counties of Dublin, Louth, Kildare, Wicklow and Kilkenny, is where the capital Dublin is situated. In Dublin you can enjoy plenty of great courses among which Portmarnock, Royal Dublin and Island Golf Club. Other premium golf spots are Baltray in county Louth, K Club at Staffan, county Kildare, European Club and Druids Glen in county Wicklow, and the Mount Juliet Estate and Golf Course in county Kilkenny. The western part of Ireland consists of the counties of Galway, Mayo and Sligo. County Galway offers great courses among which Donegal Golf Club Murvagh, the Connemara Golf Club, and Galway Bay Golf & Country Club. County Mayo offers places such as the Carne Golf Links. Last but not least county Sligo offers the Rosses Point and the Enniscrone golf clubs. There are plenty of tournaments hosted in the Irish golf clubs, so if you are a championship fan, you can easily arrange your golf-break to take place during one of the interesting golf events. Another thing that is worth considering is that given the long standing tradition of the game in Ireland, golf tourism is very well developed and there are well arranged short or longer golf breaks that include bed and breakfasts and one or two rounds at a premium golf course. So, planning a golf break in green Ireland is a piece of cake. Just make up your mind and do it!